Super-quality Internal Threaded Copper Pipe. Multi bend evaporator helps increase heat exchange surface for improving efficiency. This function can automatically adjust the room temperature. Monitering some abnormal operations or parts failure automatically, meanwhile, malfunction codes will be displayed on the indoor unit. With washable designed filter, it makes the cleaning preocess much easier. With this function, you can enjoy a larger air flow, which enables the indoor temperature to reach the set temperature in a shorter time. Large louver design, with wide swing angle range,guiding air to every corner of the room. Improve the heating exchange efficiency by accelerating defrosting process, and can withstand the salty air, rain and other corrosive elements. The remote controller measures the room temperature and relays the information to the unit to adjust to proper station. The preset fresh air outlet can let the outside fresh air into the room,improve the room air quality,creat fresh and comfort atmosphere. 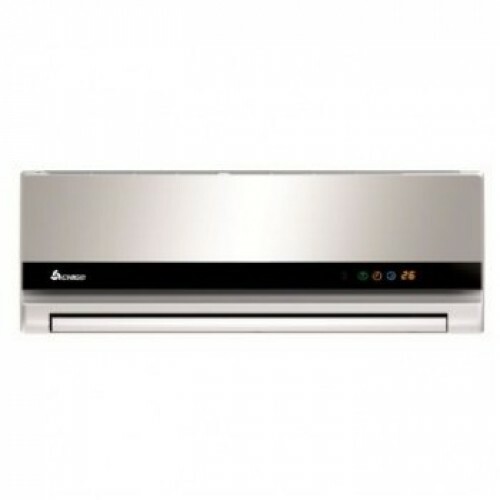 The air conditioner will restart with the previous function setting automatically when the power resumes. Stop ultraviolet rays, inhibit oxidation effect of freckle, eliminate avtive oxygen to protect skin. Eliminate formaldehyde and other volatile organic compounds as well as harmful gases and odors. Release negative ions, eliminate odor, dust, smoke and give you fresh and healthy air. Kill bacteria by destroying their inner-configuration and absorbing their elements in cells.